This is a Market Update with a Property Management Spin and a bit of a Tasmanian feel to it also……diversifying! I had the pleasure of talking with Ilyse Elphick, Assistant General Manager of Raine & Horne Darwin and Tony Easther, General Manager of Raine & Horne Kingston, Tasmania. The Raine & Horne Project Marketing department will be handling the sale of more than 1 000 properties in Darwin in the next 12 months! 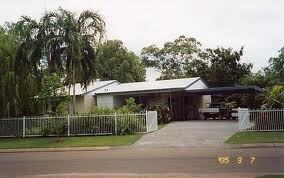 This is what we are doing about the housing shortage in the NT. I caught up for a chat the other day and thought you may find it interesting….I know I did. The front page of today’s NT News declared ‘INPEX DONE DEAL’. Now as you can imagine it takes big news to knock stories like below off the front page in Darwin so this must be HUGE!!!! INPEX is the Company responsible for the biggest gas project to hit the shores of Australia with an anticipated monetary injection of $30 Billion to the Darwin economy. That is a hell of a lot of money when you consider the Darwin populous is approx 120 000. Official announcement expected to follow soon. The article went on to suggest that the first sector of the marketplace expected to see the upward effects of this guaranteed boom set to follow is an “upswing in Darwin and Palmerston property prices”. I have said it before in this blog and I will say it again….Darwin is the best performing micro economy in the world and it’s just about to get a whole heap better….Jump on board while you can.